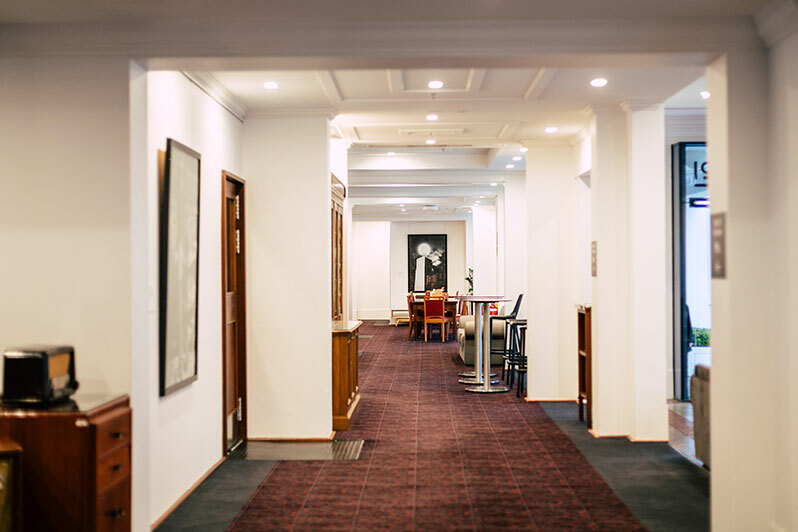 Hoi Polloi restaurant occupies a space historically utilised as the Non-Members’ Bar during the Parliamentary period 1927–1988. It was an infamous haunt for staffers, media and service workers alike, and now a venue steeped in history and secrets. 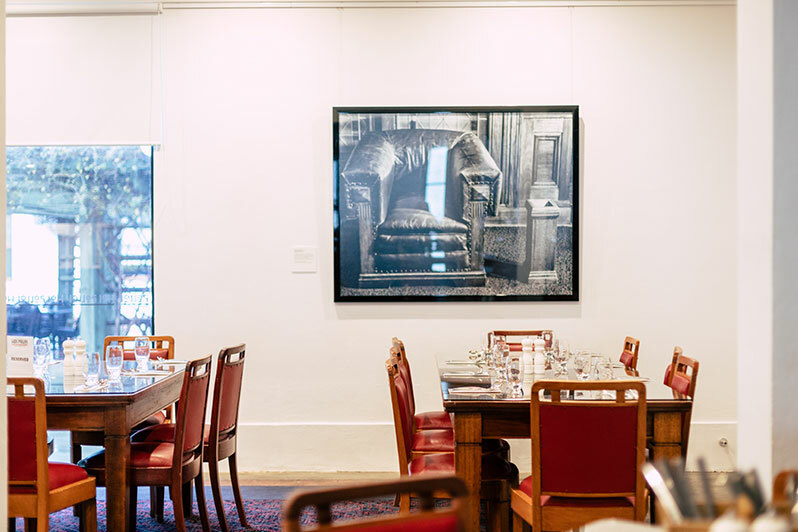 The beautiful red leather chairs, along with the tables, cabinets and other furniture in the restaurant, were used in Parliament until 1988, and are heritage-listed. 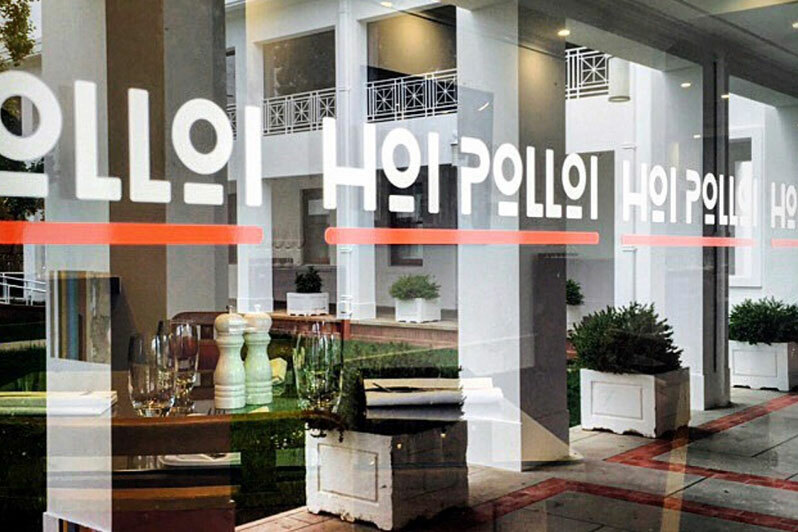 Hoi Polloi is open as a restaurant on Monday to Friday from 8.30 am to 2.30 pm, and Saturday and Sunday from11.30 am to 2.30 pm. 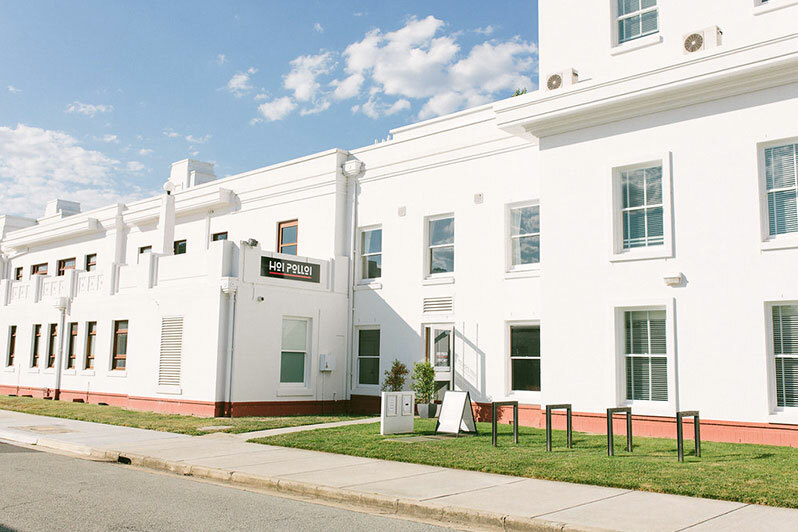 However, outside of these hours, it is available as an event space. 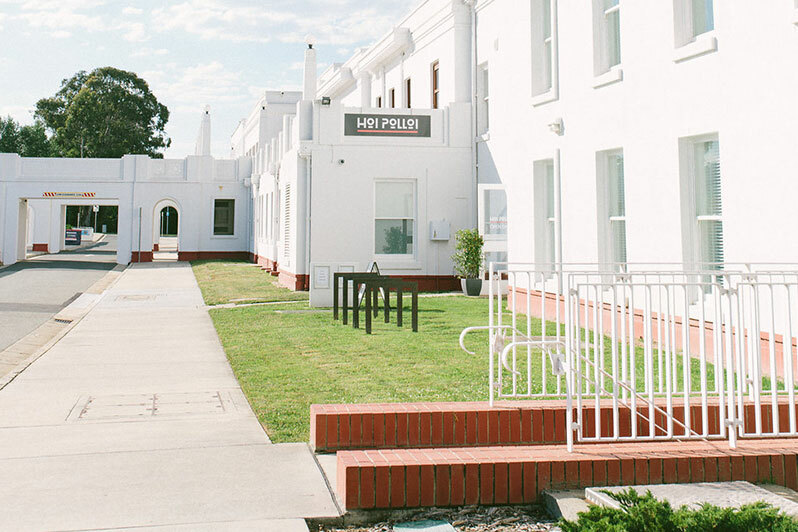 It overlooks the stunning House of Representatives Courtyard, which is also accessible when Hoi Polloi is booked. Please note that using existing heritage furniture and two to three long tables works best in this space (i.e. no round, banquet tables). Alternatively, clearing furniture out to bring in round tables or do a full cocktail set-up will incur a special removalist fee at the client’s expense. Please discuss this with your events coordinator for further details. Access is at street level, in the laneway under the pedestrian bridges on Queen Victoria Terrace. The entrance is at level and the ramps outside the restaurant provide easy access to suitable toilets in the courtyard.